Types of Dental Appliances: Know Your Options before Putting Them in Your Mouth! 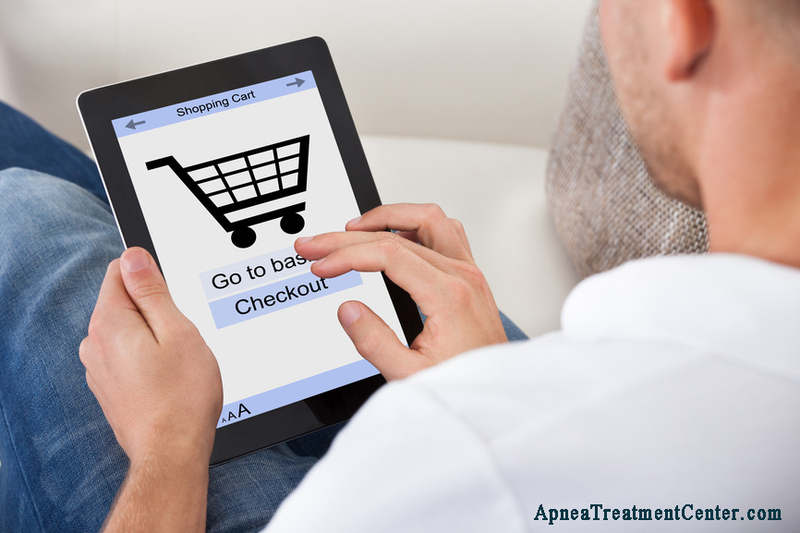 You have recently rejected the idea of using CPAP therapy for treating your sleep apnea. There were just too many issues with this form of therapy that came in the way between you and your need to have a good night’s sleep. Your doctor has encouraged you to use an alternative – a sleep apnea mouth guard. Though you have heard about their use, you are not too sure whether they would solve your specific problems or not. First of all, how many types of dental appliances are there? How do they work? How can you decide which of these types would suit you best? Let’s begin at the beginning. First of all, why do doctors recommend dental devices? 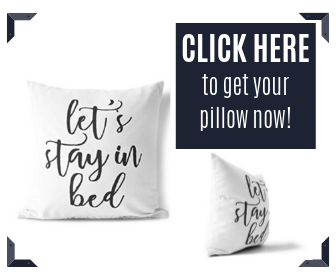 Restoration of normal breathing by preventing the airway from collapsing is one of the primary aims of any doctor treating a sleep apnea patient. This is because recurrent breathlessness is the most distressful symptom of this ailment causing not just trauma for the patient but also major lack of oxygen supply to the brain and blood. This has far-reaching implications. How can the doctor prevent the airway from collapsing and restore normal breathing? Using apnea dental devices is one of the most non-invasive and safe alternatives to CPAP, especially if the condition is between mild and moderate. The basic aim of any type of dental device is to prevent the airway from collapsing and keeping it open during sleep. There are two main types of dental devices that perform this function effectively. However, it is essential for the doctor to know the precise factors causing apnea symptoms; because a dental device would only be effective if it can address the precise cause of your sleep apnea. To understand the mechanism of action of dental devices better, let us recall an important aspect of anatomy of the jaw and tongue: When you advance the jaw, the tongue follows, because it is connected to the inner side of the lower jaw. The tongue retaining devices work by repositioning the tongue in an anterior position so that the tongue does not fall back during sleep and block the pharyngeal airway. 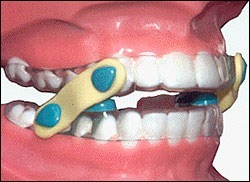 Additionally, these devices also advance the lower jaw for strengthening the tongue retaining function. The device has a suction bulb that holds the tip of the tongue to the teeth or lips to hold it forward in position. 2. The mandibular advancement or repositioning device on the other hand, advances the lower jaw slightly during sleep to keep the airway open. Since the tongue is attached to the jaw near the chin, this device also holds the tongue and keeps it out of the way by several millimeters. Its use is fairly common and the results reported are generally positive. It could also impact some activities at the level of upper airway muscles, considering that with the use of the device, the dimension of the upper airway is increased, especially at the position where the base of the tongue is located. Because of its effect on the dimensions of the upper airway, the doctor might have to do several adjustments to the device before it can work optimally. When do the devices not work? The devices are ineffective if they do not address the cause of apnea. 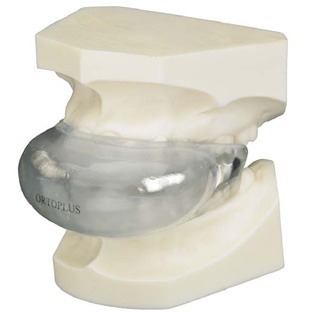 The mandibular advance device, for example, would work only when the cause of sleep apnea is due to anatomical problems of jaw and tongue. 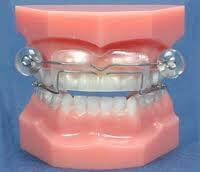 A dental device would also be ineffective if obesity is the root cause of you apnea symptoms. However such a device could be used if it is in conjunction with weight loss measures. Additionally, if the user is unable to tolerate the therapy with the device at its optimum setting, then also the device might be ineffective.